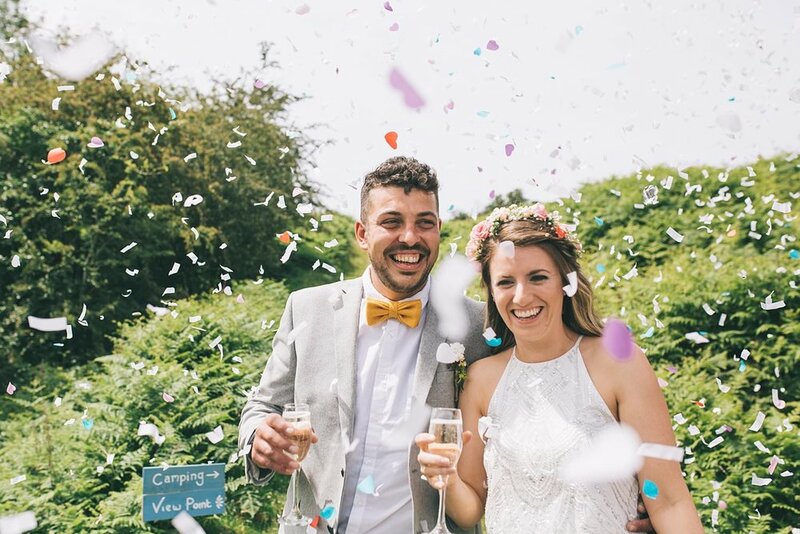 A Cornwall Wedding Photographer shooting weddings around the world for awesome couples with adventurous spirits. If you want to see emotion and connection in your wedding photos, then you need a photographer you yourselves connect with. Choosing the right photographer for you is a big deal. Your photographs are a lasting record of that one time you got everyone you loved in the same place at the same time, and you want to be transported back when you look at them. These photos will get pored over by you and your family, and in time will form an unbreakable link to your past. You want a wedding photographer who feels more like a friend, who seeks out emotion, and who tells the story of your day as you experienced it (even the bits you didn’t actually see). Most of all you want to be able to look back at your photos and see you, and everyone you know and love as you see them, with their true character shining through. Using my distinctive documentary wedding photography style, my aim is to be a second pair of eyes for you both, capturing the day as it unfolds naturally, along with all the details that make it yours. You’ll be able to relax in the knowledge that I’m there, catching all the little moments you might otherwise miss, as well as the big ones you want to remember forever.